Blair Jenkins is the ninth head of Dana Hall School. 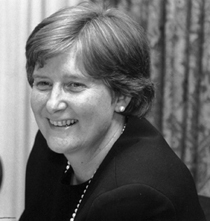 She came to Dana in 1985 as Dean of Students and subsequently served as Director of the Upper School, Assistant Head of School, and Associate Head of School before she was named Head of School jointly with Elaine Betts in 1993. Mrs. Jenkins came to Dana with extensive experience in women’s education. She was the Dean of Students at Westover School in Middlebury, CT, with prior positions as Assistant Director of Admissions at Emma Willard School in Troy, NY, Director of the Upper School at Colorado Springs School in Colorado Springs, CO, and Director of the Middle School and history teacher at Kent Denver School in Denver, CO. When Mrs. Jenkins first arrived at Dana she found a school that had “deep divisions and fears” that were a result of the numerous leadership changes that had occurred prior to Elaine Betts’ tenure. “There was a ‘closed down’ atmosphere to the school. But soon a ‘give and take’ was established. Administrators and staff worked together closely, found strength together, and began opening doors and breaking down walls,” recalled Mrs. Jenkins (Dana Hall BulletinWinter 1995). Mrs. Jenkins focused on boarding life so that the day and boarding students could come together as one community, and reemphasized faculty involvement, academic excellence, and the importance of community service and student leadership. The Dana Hall Archives conducted the following e-mail interview with Mrs. Jenkins. Where and when did you go to high school? I attended the Sunset Hill School in Kansas City, a day school for girls, from third through twelfth grades. My great aunt was actually headmistress and English teacher there during the 1930s. 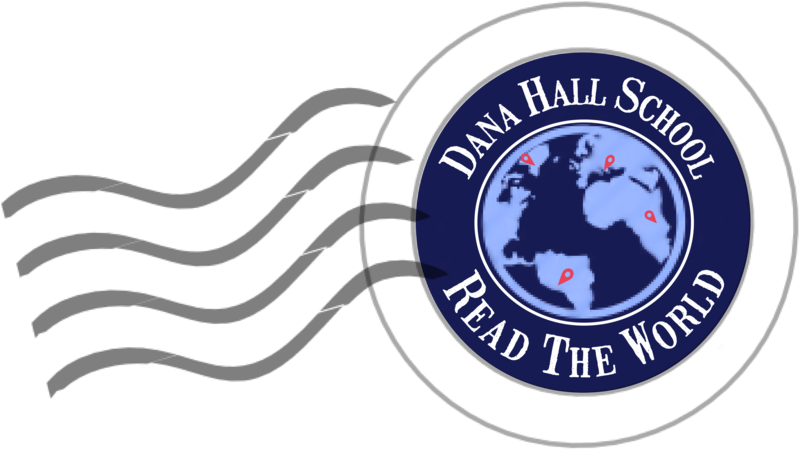 Was your high school different or similar to Dana Hall? It was similar in the sense that it was all girls, but there were no boarding students and schools for girls were very different places in the 60s than they are today. Team sports (basketball and field hockey) and history. I was very close to my grandparents who lived just a few doors away from my family. I also had a fifth grade teacher who was important in my life. She is probably the reason I went into teaching. What were your ambitions for the future? I didn’t think about my future very much. I was focused on friends, schoolwork, and athletics. I hear that you are a big baseball fan. How did you become interested in baseball? Are you a fan of whatever team is near to where you are living at a particular time or were you always a Red Sox fan? Did the Red Sox at all influence your move to Boston? I understand that you go to spring training every year. What is that like and why do you enjoy going? I started going to baseball games with my grandparents from a young age (probably around six or seven). We went to see the Kansas City Athletics and then the Kansas City Royals games. When I met Steve [Mr. Jenkins] in Denver, he started talking about the Boston Red Sox because he lived in Boston when he was 8 and became a die-hard fan. I remained a KC fan until I gradually became a Red Sox fan when we moved to Boston in 1985. We have gone to Spring Training (first to KC games and now Red Sox) for over 25 years. When we first started going, the parks were smaller and you could talk with the players and easily get autographs. I was a big baseball card fan as a young girl and traded cards with all my brothers’ friends. I wish that I still had those cards! If you were able to travel anywhere, where would it be? I am eager to go to Australia, Vancouver, Alaska, and Bhutan. You wrote about your sabbatical in the Fall 2001 Dana Hall Bulletin. How did you change after that experience? In the article you talked about shedding some layers of skin. Have you been able to keep your life at a more human pace? You have a home in New Hampshire. What is your favorite season and what do you enjoy doing when you are in New Hampshire? Actually we just sold it this winter so that we can build a home in Colorado. I love all the seasons except mud season but even mud season brings changes that are fun to watch. What we loved about our place in NH is that we did lots of things outside – snowshoe, ski, walk, drive the tractor and mow. I love to mow! Have you found time to work out in the Shipley Center? If so, what type of exercise do you enjoy the most? I was there lots in the fall during the AM PE class. I am trying to get back there this spring term at least three mornings per week. I do the rowing machine and the bike and then the weight machines. What stands out most about your tenure at Dana? What are you proud of? All the wonderful students and adults I have met and worked with. I feel very lucky to have spent so many years in this community of students and faculty from all over the world and all types of backgrounds. When I look back, 21 years seem to have flown by. I have enjoyed having such a variety of responsibilities and projects to work on. I’ve never been bored. What goals do you have for your future, both at Dana and after Dana? I want to help Dana raise its endowment so that future students and faculty can have the programs and resources they deserve. Perhaps if we raise enough, the next head will get to be on campus more often! Most of all, I want to keep attracting and retaining the very best students, faculty, and staff! That is what makes Dana such a great school community—one that truly cares about its members and about our world. Some day Steve and I will head back to Colorado to have our next adventure. “Blair Jenkins: Head of School.” Dana Hall Bulletin56.2 (Winter 1995): 5-7. Blair Jenkins, photograph. From the Dana Hall Development Office, Wellesley, MA. Jenkins, Blair. E-mail interview. 10 May 2006.